al2K is a manufacturer of Oxygen Bomb Calorimeters & Bomb Calorimeter Calibration Tablets from South Africa. Cal2K the top Model, E2K the Medium and ECO the Economical Model are the main products. He CAL2K bomb calorimeter systems are the most advanced fully automatic "dry" static jacket isothermal bomb calorimeter systems available today. 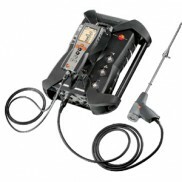 A quality product which produces accurate results. 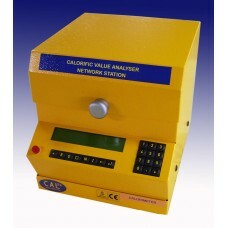 The calorimeters can operate as either a stand alone unit or via a PC. The cooler reduces the temperature of a fired vessel by having its hot junction of the peltier elements cooled down by a continuous trickle of mains water supply. The filling station fills the vessel with oxygen at 3000 KPa (3MPa) at a controlled pace, so as not to disturb the sample inside the crucible. The vessel is the heart of the calorimeter system. It has an isothermal design with a microprocessor in its base. The vessel also has a number of temperature sensors within its cylindrical walls, ensuring absolute accuracy. The CAL2K bomb calorimeter with their easy maintenance and compact size are a must for any calorimetry application.